The Banana®-boat of SieBroTec GmbH 100% made in Germany. Quickly glide out on to the water for a spot of sunbathing; discover enchanted river courses together; whilst sailing, experience the earthly elements in close proximity; discover fantastic coastlines in faraway lands and go ashore; explore new fishing grounds or enjoy an exhilarating ride on the waves - all possible with Banana®-boat. It is ready for use within a few minutes, and needs no berth or trailer. In a few simple steps and without any tools, one person can set everything up. It’s amazing how easy life can be. The foldable boat is made specifically of special plastic which makes the boat very light in weight and almost indestructible. The Banana®-boat is not only unsinkable; it can also be carried to any site easily. The hull weighs from as little as 10 kg. depending on the model. Currently seven types of boat are offered. From a length of 1.8 m to 4.25 m. The load carrying capacity starts from 90 kg and goes up to 450 kg. The area of application ranges from dinghy, recreational boat, sailing boat which by no means ends at a motor boat. Banana®-boat can be made ready for use in a few simple steps - depending on the type - either as a rowing boat or canoe, also as a sailing boat or as a motor boat. One can choose between a petrol engine or an electric motor. 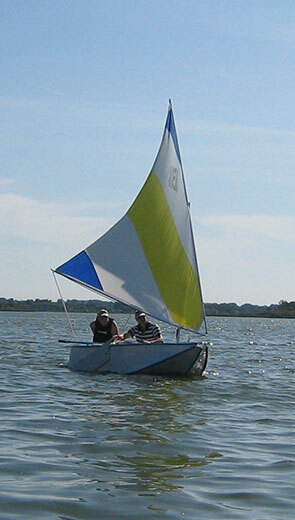 Water sports can be pursued by every camper without any transport problems. For the yacht owner, the perfect dinghy or jolly boat which can be stowed on the railing or on deck; brings diversity to the mooring and in the port. It is ideal as a fishing boat. It makes fishermen independent and opens up new fishing grounds which would otherwise never have been accessible. The hull does not produce any disturbing noises when being rowed or at the mooring. The holiday boat, also wonderful for water based sunbathing. 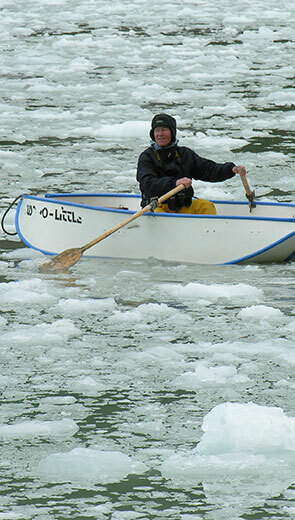 One person can set the boat up and be completely ready for rowing in less than five minutes. For rowing, paddling, sailing or motoring, when and where you want, even for beginners of any age. With fifteen years of works guarantee on the hull. The boat’s width allows for considerable water stability and steadiness. 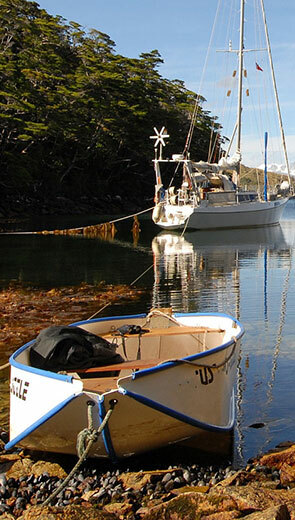 Sailing properties comparable with a classic yawl. The hull is extremely tough, also against hard impact, pointed stones, shards of glass or coral reefs. The boat is unsinkable as such. The incorporated, internal, additional buoyancy elements, prevent the boat sinking, even when loaded. The hull’s special plastic withstands millions of bends and/or folding cycles. The hull material is salt-water, acid, nitrogen and acetone resistant as well as being resistant to UV rays. For transport, the boat hull can be folded together and for further transport can be strapped to a car roof, for example. At the deployment location it can be carried to the water side easily. A boat trailer or mooring or winter storage is simply not needed. On account of the low weight, the boat can be put into the water almost anywhere, and after use it can be pulled out onto land easily again. 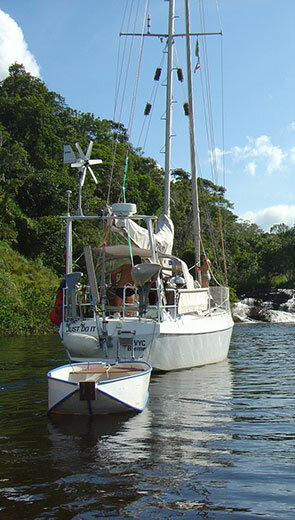 Almost all types of boat can be operated with a petrol engine or an electric motor. Almost every type of boat can be supplied with correspondingly adapted sailing accessories. The hull is low-maintenance and requires no paint. With a proven and reliable spare part service. Upon request, special and tailor-made solutions for almost all boat lengths and for the most diverse uses are possible.